Give the gift of wellness to your friends and family. A massage voucher is a great gift idea for Birthday, Wedding anniversary, Christmas, Valentine's Day or any special occasion when you want to say "I care, I love you" or simply "Thank you". Collect your gift voucher at Zen Therapy or book the massage of your choice trough PayPal or pay by credit card. Please bring the gift voucher/purchase confirmation at the day of the treatment with you. Gift vouchers are valid for 12 months. 60 Minutes Deep tissue Back, Neck and Shoulder Massage. 60 Minutes Back, Neck and Shoulder Massage. A classic full body massage using light or medium pressure to relax tight muscles and relieve stress. 90 min. of pure relaxation, giving lots of time to release all tense muscles in your body. Pressure adjusted to your specific needs. 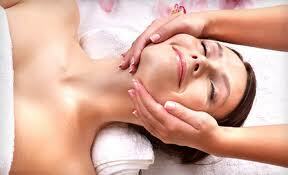 Extra long massage using strong pressure to give you ultimate body and mind stress relief. Enjoy the benefits of regular back massage. Your body will be grateful! Feel the difference after 4 massage treatments and enjoy the great value.